Choosing natural stone for the bathroom speaks quality and longevity. 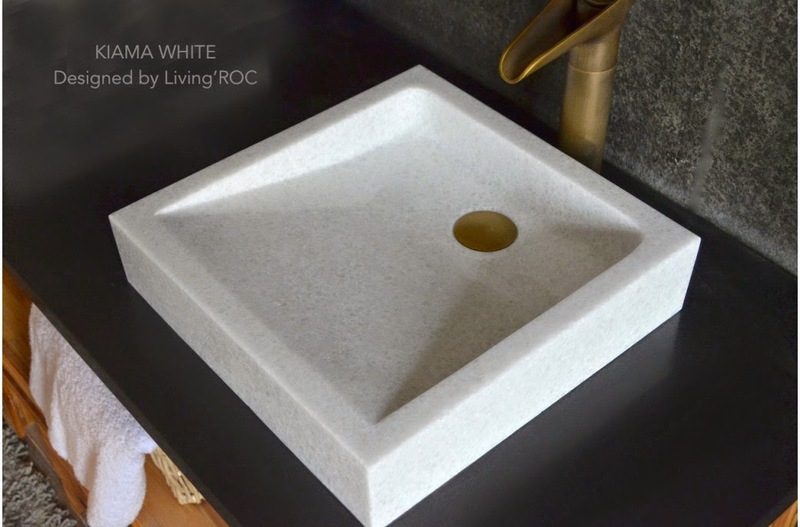 Its easy to fall in love with a gorgeous stone sink. 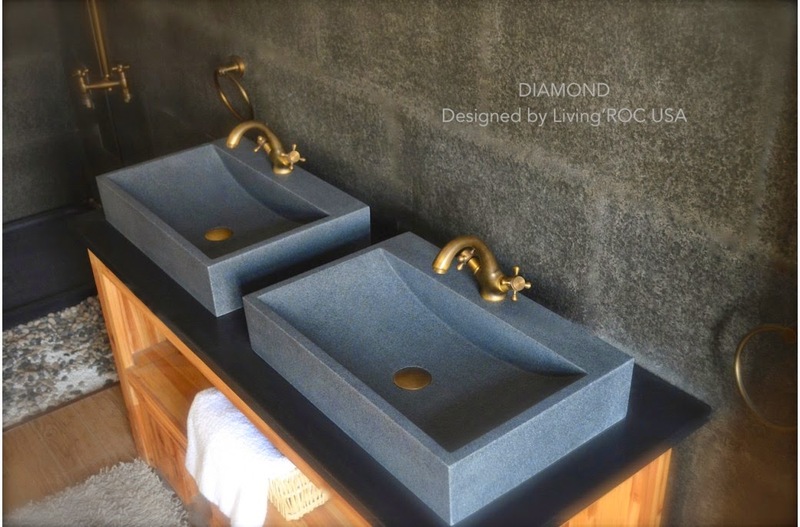 LivingRoc has chosen some of the finest quality of stones. 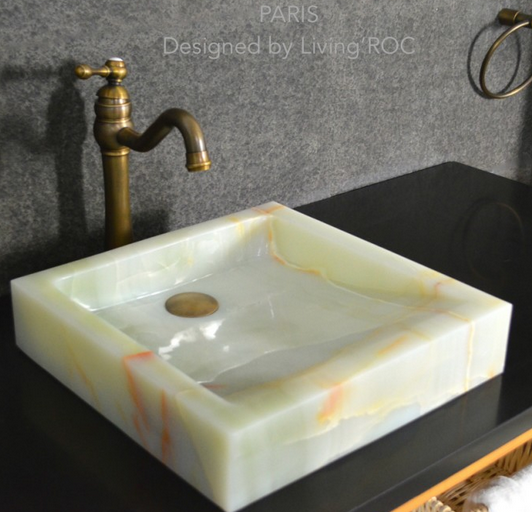 From granite, basalt, marble and onyx you can find a vessel sink to add essence to your room. KIAMA WHITE square crystal marble vessel sink is made from a pure white marble block. With its Zen trendy style and its harmonious slopes Kiama White will add a luxurious feel to your morning routine. DIAMOND is a beautiful gray granite vessel bathroom sink with a single faucet hole and a great depth. All of our sinks are waterproofed for a perfect seal. We always recommend that you seal your natural stone with a waterproof sealer. We recommend Akemi stone sealer found on Livingroc. Wanting more this enormous trough sink made of Shanxi pure black granite will bring style and sophistication to your surroundings. 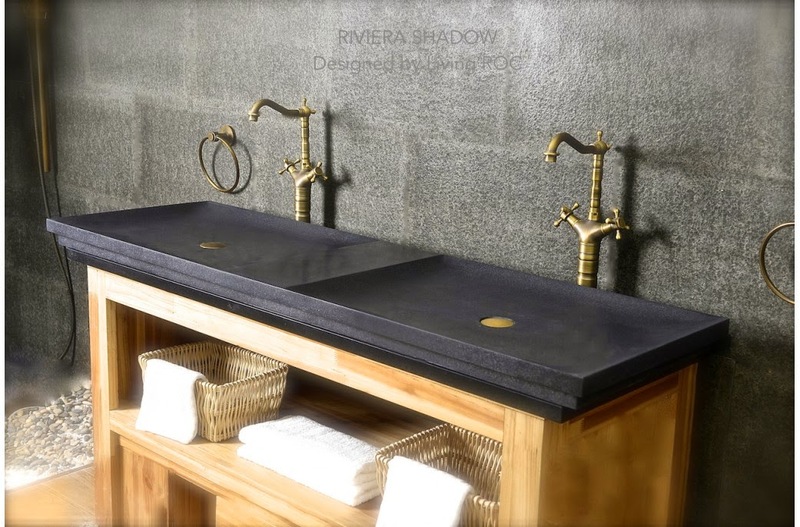 RIVIERA SHADOW can be used as a countertop sink or a drop in. With its 63"x19" measurements our masons have created a masterpiece. Can you imagine creating a bathroom that can transfer your mornings into an oasis of relaxation and serene. 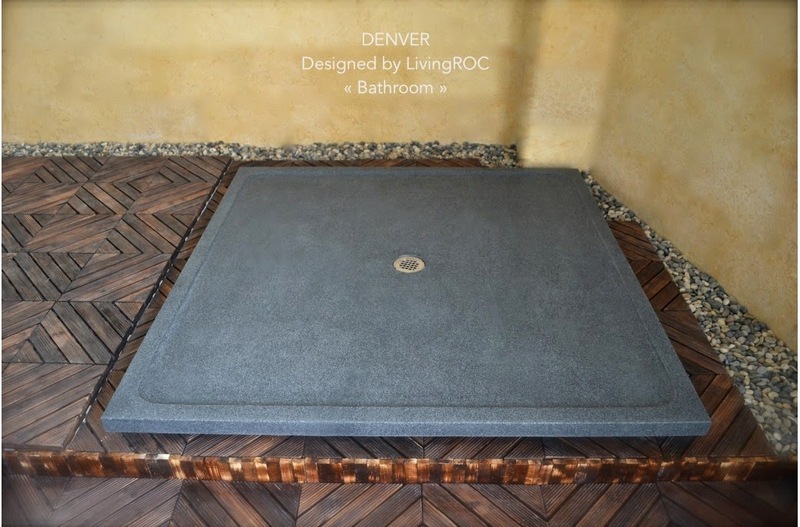 Shower pans made in natural granite is the perfect addition to complete your bathroom project. Completing your bathroom with a granite shower base will have you never leaving the bathroom. This piece of stone cut from a block of granite is preformed to create an effective water slope to the drain, giving it a modern look. DENVER is one of our bases built to last. We have also taken good care of your comfort and security ensuring reliable, non slip products. QUASAR SHADOW is a French style rectangular genuine natural stone shower base in a remarkable size of 60"x34. Our shower pans are built to last a very long time. Resistant to shocks, scratches and daily use. We have put the "extra" in extraordinary by using this noble material. The outstanding opportunity to make your world unique. LivingRoc has a variety of sizes and shapes, from Neo Angle, square and rectangle we are sure you will find what you are looking for. We invite you to explore our site at Livingroc.net to see all of our natural stone products we have to offer for your home renovation needs.